Trade Show Planning Timeline | Evo Exhibits | Discover. Create. Connect. Planning for a trade show often requires more work and planning than most realize. Whether you’re a seasoned trade show exhibitor or completely new to the industry, an organized plan is essential for a successful trade show experience. By beginning the planning phase as soon as possible, you’ll maximize your chances of acquiring new customers – after all, 64% of event marketers state that trade shows are a good source of new prospects. The majority of conferences and events are scheduled a year or more beforehand, which is the perfect time for your business to start getting organized as well. In this article, we breakdown our recommended strategies leading up to the event so you can ensure you’re ready to take on any trade show with confidence. Is boosting brand awareness a top priority? Do we have a specific product or service to showcase? How important is networking within the industry? 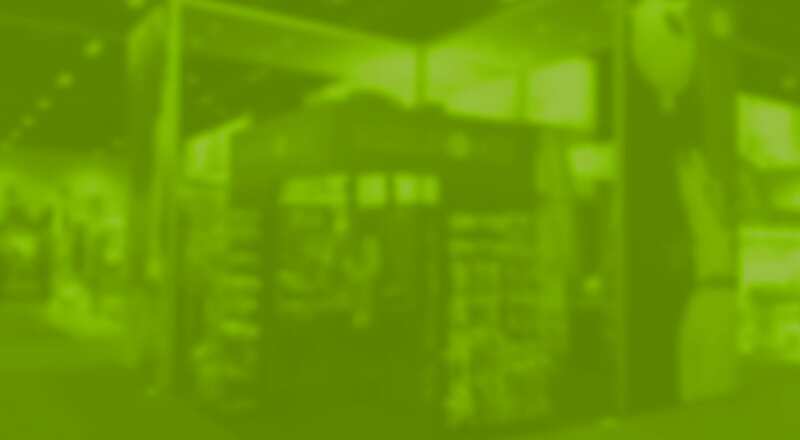 How do we define trade show success as it relates to our interests? Based on these discussions, you and your team will be able to define whether or not a trade show is the appropriate avenue to explore, or if another channel might better align to your goals. Once you’ve settled on attending an event, the next step is to choose one. At this point, research is the name of the game. Begin by isolating your industry and then searching for relevant trade shows by location. Traveling to trade shows is not unusual for many companies, but keep in mind that this will increase the cost. Once you begin finding appealing options, dive deeper and take a look at past year’s attendee numbers, competitor exhibitors, booth space cost, and potential travel expenses to help you make a final choice. If your company has chosen to return to a specific trade show, be sure to look into the overall results to identify opportunities for a greater return on investment. This might mean adjusting your budget, choosing a different location on the event floor, or modifying your sales strategy during the trade show itself. After you’ve decided to exhibit and have chosen a suitable trade show, it’s time to delve deeper into the specifics with your team. These specifics include setting your goals and objectives, outlining your budget, and planning your exhibit design. Defining what success means for your organization is an imperative part of trade show planning. Common objectives include boosting brand awareness, showcasing a new product or service, generating new leads, conducting competitor research, and networking with industry professionals. By defining your company’s specific goals, you’re creating a key reference point for the entirety of the process moving forward. When making a decision, ask yourself: “How will this help us achieve Goal X?” This strategy helps to organize your team’s thinking, promote informed decision-making, and increase your chances of a successful trade show experience – however you define it. Now that you’ve decided what you want to achieve, you need to figure out how much you can spend to make that happen. Your budget will be a major factor in decisions made in the future, so it’s important to break this down early in the process. Before beginning to plan the design of your exhibit, you should first establish if your team needs to bring on a specialized partner. At Evo Exhibits, we offer custom exhibits for rent or purchase. Our expert team works with our clients every step of the way to ensure the finished booth aligns with their brand, goals, and budget. Contact us today to learn more! Need some inspiration? Check out our gallery for dynamic trade show exhibits of all sizes to jumpstart your brainstorming. Once you’ve settled on the specifics, you and your team can start generating some buzz. Attracting attendees to your booth requires more than just showing up – you need to get the word out long before the event itself. Ideally, this requires a comprehensive marketing campaign tailored to the unique audience you’re looking to target. Direct mail, email marketing, and social media are all excellent ways to inform current and future clients of your upcoming exhibit. Get creative with fun, unique strategies like custom hashtags, promotional giveaways, or contests to encourage interaction and drum up excitement. For the most impactful messaging, be sure to consider your unique audience and which type of media they might best respond to. For example, millennial consumers are much more likely to be engaged by a social media campaign than a flyer. Conversely, a more traditional company might respond well to the time and care that goes into a printed mailer. Now that all the major elements have been decided and acted upon, you’re ready to tackle the nitty gritty details. If you’ve decided to include free merchandise at your booth (Hint: We recommend you do! ), now is the time to get those products ordered. You should also begin making travel arrangements for your staff as well as organizing the shipping of your booth and any other required items. A friendly, helpful, and enthusiastic team can make a huge difference in an attendee’s overall experience at your booth. Setting up your team up for success is essential. At this stage, most of the planning, decisions, and arrangements should have been made. You’ll be in the process of finalizing the production of your exhibit, promotional items, and marketing materials. Be sure to confirm all shipping dates as well to mitigate any possible errors leading up to the event. It’s also time to setup a final schedule that will set the itinerary for the event. Create an organized schedule to hand out to the employees that will be attending the event so that they prep themselves and know what to expect on the floor. This should contain info such as their duties, transportation details, accommodation, meeting points and so on. Schedule a meeting to go over any questions or from the event team so these can be ironed out ahead of time. Finally, one week before the event, you should reconfirm all the arrangements to foresee any problems that might arise. Even with the most organized and efficient planning, logistical problems can happen, so be sure to go through and double-check everything so you and your team are ready to go on the day of the event. The trade show industry is a unique marketing opportunity that can be extremely overwhelming, especially for those who don’t adequately prepare. 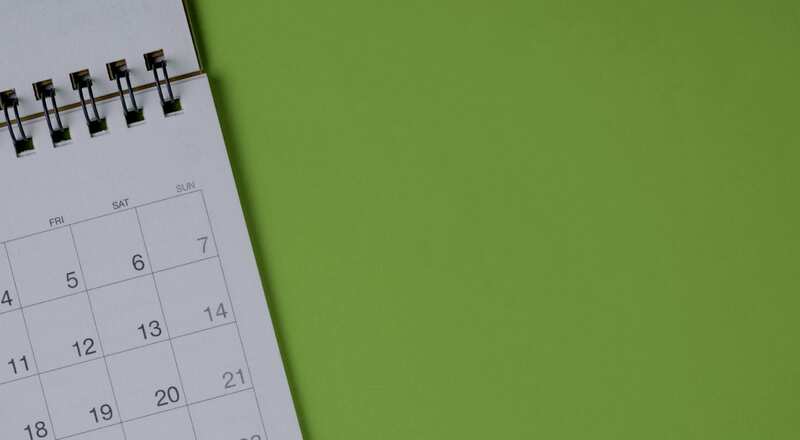 The trade show planning timeline in this article is a great resource for your organization to craft a fresh plan. It represents the ideal time frame in which to accomplish all of the necessary tasks leading up to the show. As we all know, it’s not always possible to stick to the ideal timeline. If you find yourself behind the 8-ball, Evo can let you know what realistically can be achieved with the amount of time and budget you have to work with. Remember, there is no need to take on this task by yourself. Our team at Evo Exhibits are experts in the trade show industry. We’re obsessed with helping businesses make the most of their trade shows, conferences, and events. Get in touch today to learn more!